Small sofa beds and everyday use are not really words that you expect to find in the same sentence together – but they really do exist! How do we know? Well because we make sofa beds that can be used daily. As both a sofa and a bed, and we make small sofa beds too. What size are our small sofa beds? Well ‘small’ really depends on how small you need your sofa bed to be. Which is exactly why we have 5 different sofa bed sizes. To make things really easy I’ve listed them all in a table for you so that you can see all of the different size options that we make. Does a small sofa bed have to have a small mattress? We don’t waste any space and ensure that the mattress in a small sofa bed is as large as it possibly can be. This is exactly why all of our sofa beds have a mattress length of 2 metres. That’s the same length as a King Size bed! So no matter what width of mattress you choose, it will always be 2m long. Our medium 3 seater is designed to sleep two adults on a regular basis. Our small 2.5 seater can sleep two adults, but you can’t really have had an argument before you go to sleep. The small double mattress is designed more for adults on a slightly more irregular basis, rather than every night. Do you still get a choice of different mattress options for a small sofa bed? Yes absolutely. 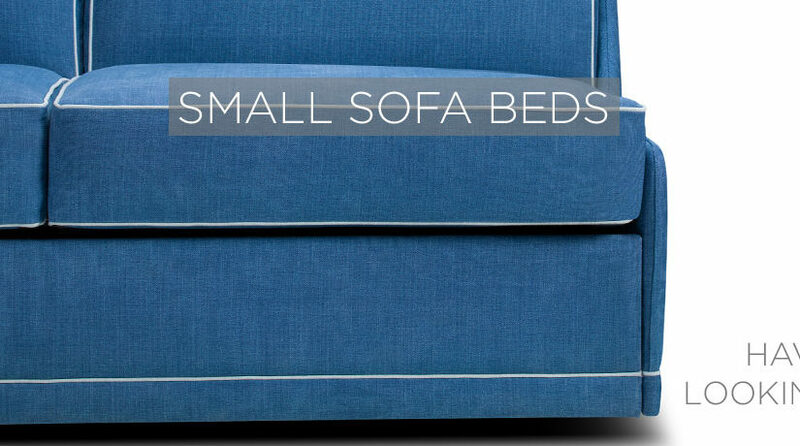 Every single mattress option that is available in our larger sofa beds is also available in our small sofa beds too. Of course, when it comes to mattresses, there really is no ‘best mattress’. It is simply personal preference, which is exactly why we recommend that you visit our London showroom to test them all. 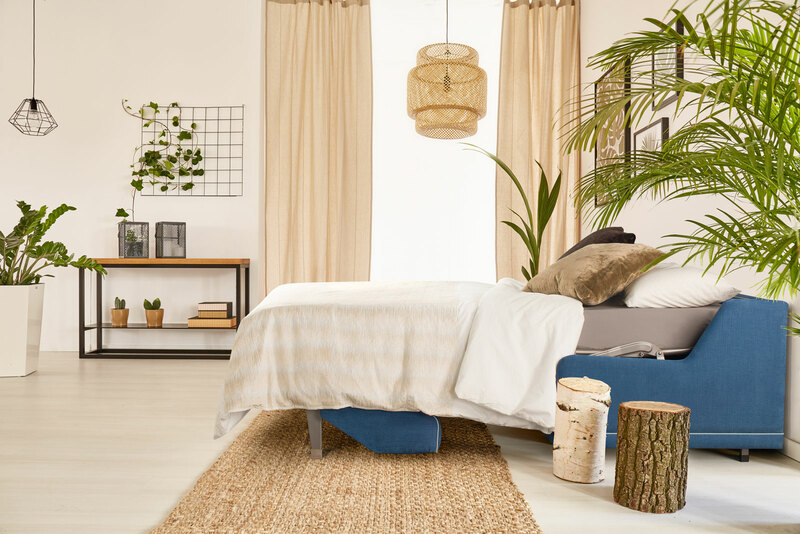 Particularly if you are going to be sleeping on your sofa bed every night of the week – you want to make sure that you definitely have the best one for you. As you can see, not every mattress is available in every Sofa Bed model. Whilst you are at the showroom we can help you to choose what sofa bed style and mattress combination might be the best for you. How does changing a sofa bed arm affect the width of the mattress? It doesn’t. We have 5 sizes of sofa bed, and once you pick your size your mattress remains the same size. So if you reduce the width of the arms, the mattress doesn’t get wider. It just means that you reduce the overall width of the sofa. This of course is perfect for small spaces. What arm options do you have that keep your sofa beds as small as possible? 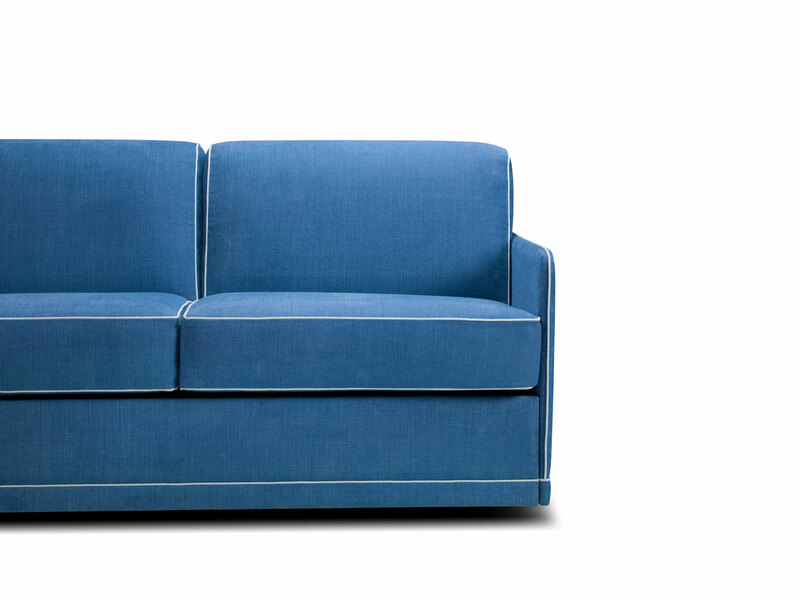 We have two arm options that ensure the sofa beds are as small as they possibly can be. Aside from our Milano model (which is quite slim anyway), these two arm options can be added onto all of our sofa bed styles. The title sort of gives this one away. It simply means that the sofa has no arms. Although to conceal the mechanism, there is a side panel added that follows the shape of the seat. The ‘No Arm’ option is actually great for those looking to use our small sofa beds for daily use. As there is no arm at the side of the mattress, it makes reaching down to a lower side table much easier. The Ultra Slim arm is designed for those who would still like the aesthetics of an arm, but that don’t have the room for an actual arm. The Ultra Slim arm is the same shape as the standard arm would be, but is just 2cm wide. This again means that it conceals the mechanism, but without taking up any extra space. The ‘Ultra Slim Arm’ is actually the same width as the ‘No Arm’, so you can simply choose which one you prefer. So why come to Furl for small sofa beds? 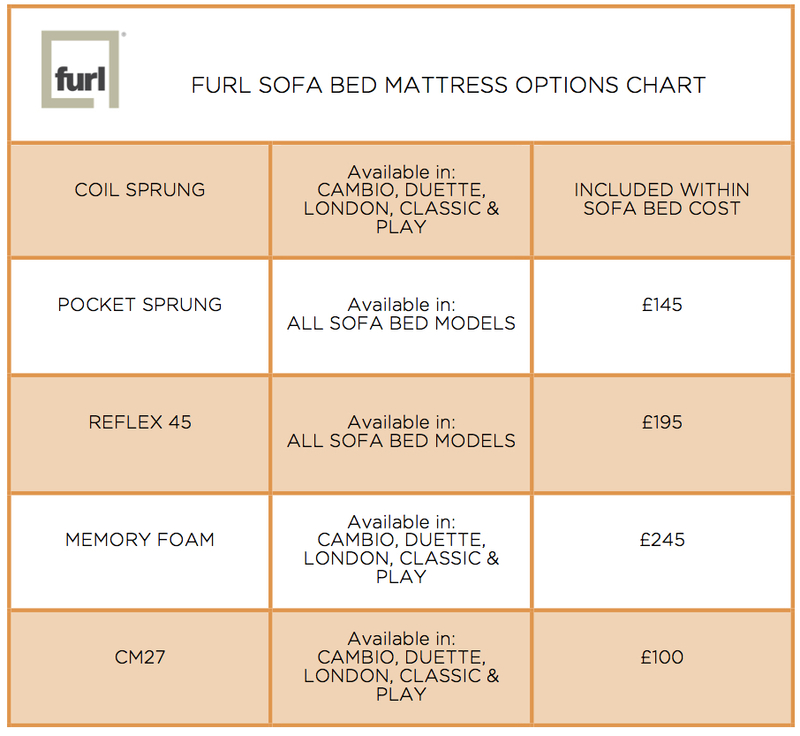 We’ve specialised in making sofa beds here at Furl for 12 years. That’s a really long time. So we have mastered the everyday small sofa bed, that really can be used daily. If you still aren’t convinced then why not see what our customers have to say about them? If you have any more questions or would like to look at our sofa bed styles in more detail then you can do here. 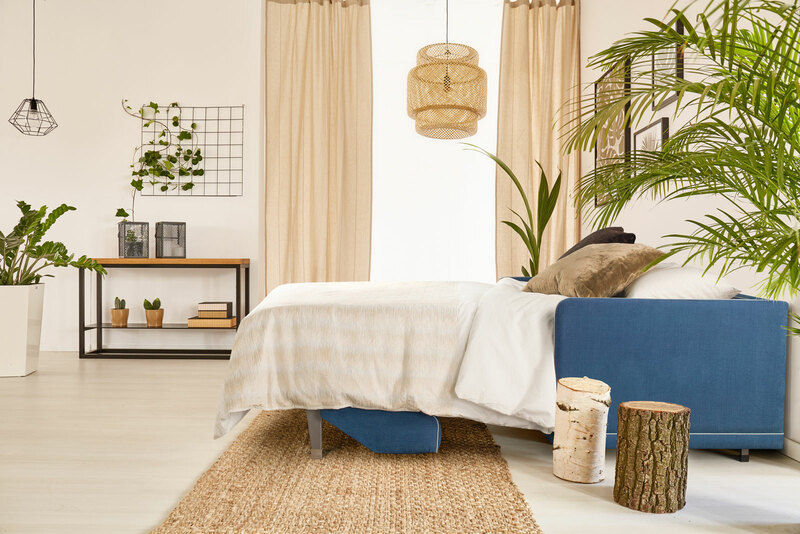 Remember, every style can come in every size, so you will be able to find the perfect small sofa bed for your room.